DOH-CALABARZON (Cavite, Laguna, Batangas, Rizal, Quezon) Regional Director Eduardo C. Janairo yesterday proposed the establishment of malnutrition wards in target hospitals to combat the growing rate of malnutrition in hospitals during the Joint Strategic Meeting with Information Technologists and Nutrition-Dieticians of priority hospitals of the region held in Makati City on November 4-5, 2018. “Malnutrition is a perennial concern in hospitals and we need to lessen or put a stop to this health problem. Nutritional assessment and screening must be done to identify and immediately provide treatment to patients at risk”, Dr. Janairo stated. “We will make this malward one of the priorities next year to ensure patient care, appropriate dietary services will be given during hospital stay and sustain good nutritional practices upon their return to the community. ,” he emphasized. The malward will include counselling, proper nutrition assessment, intervention and education of patients. According to Dr. Wyda D. Berina, Medical Officer IV and Regional Coordinator of Health Facility Operation and Development Unit (HFODU), they have conducted assessment and evaluation of priority hospitals and came up with a unified strategy that will provide responsive health services according to the health needs of their clients. “The regional office will provide technical assistance to these hospitals in order to strengthen the implementation of their nutritional program, ensure the treatment and management with emphasis on nutrition for the patient’s well-being and will provide family centered nutrition management and education for patients and caregivers in the hospital”, she said. Dr. Berina added that technical assistance will also be provided to information technologists in the hospitals for the establishment of a functional hospital network system. 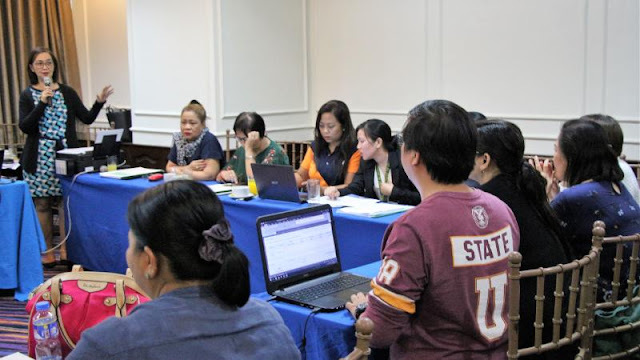 Among the hospitals included in the priority listing are Bacoor District Hospital, Binangonan Municipal Hospital, Laguna Medical Center and Maria L. Eleazar District Hospital.